Minnesota Educators Take the Leap! On a chilly night in February, sixteen educators graduated from E4E’s inaugural Leadership for Equity in Action Pipeline program. That evening marked the culmination of over 50 hours of dedicated professional development and collaboration since the fellowship launched in August. 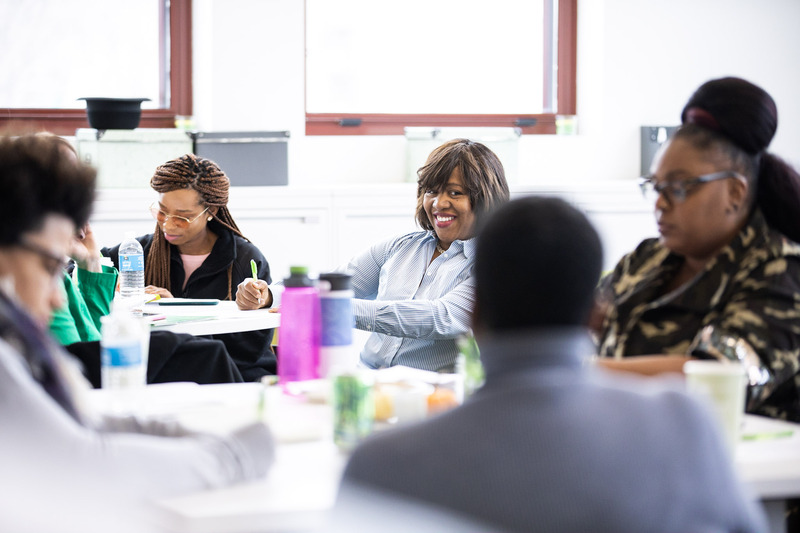 As a cohort of 16 educators from across the Twin Cities, these leaders have developed the knowledge, skills, and mindsets to be effective as elected officials in state government, school boards, union leadership, and beyond. We look forward to seeing their leadership journeys unfold as they declare their candidacies for future office. E4E’s LEAP program equips educators with the nitty gritty skills of grassroots organizing, fundraising, platform development, messaging and more, in order for teachers to run for office. They work to create campaigns aligned with their personal and professional values to create the change our students need. This program cultivates the next generation of civic and labor leaders who bring life experience working as educators in the highest needs communities in our state, matched with a shared passion for addressing societal programs through a lens of equity. The ultimate goal of the LEAP program is to elevate the teaching profession and improve student outcomes by ensuring that there are decision-makers at every level who carry the perspectives, experiences, and values that teachers hold. In the summer of 2019, we will introduce the next cohort of fellows who will participate in the LEAP program. If you are an educator who is interested in applying, apply to LEAP today! Plus, everyone is invited to join us the evening of May 30th to raise a glass to this year’s graduating cohort and build support to continue this groundbreaking program.